Sydney is a fashion-obsessed cosmopolitan city saturated with amazing bars, boutique accommodation, and a serious love of food. From the iconic Opera House to the golden sands of Bondi Beach, there is something for everyone in this incredible city. These free walking tours take place three times a day. A passionate local takes you on a guided tour so you can experience the lifestyle and culture of Sydney. Find out the secrets, stories and history of the area. The CBD tour is ideal to help you familiarise yourself with the city. You’ll cover the Opera House, Harbour Bridge, Pitt St Shopping Mall, the oldest cemetery, and so much more! 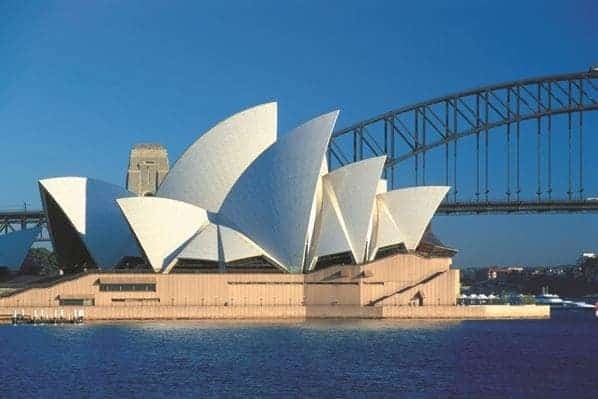 When the Sydney Opera House was built, it was the result of an international design competition that attracted 233 entries. The Danish-designed winner was daring and controversial. It ended up being finished 10 years late, and a whopping 1,457% over budget… but it became the jewel in Sydney’s crown and is still lauded as a contemporary masterpiece. With over 40 performances presented each week, there is always something to see. Whether you like classical or contemporary music and theatre, there is a wide variety to keep adults and children happy. Check out what’s on and enjoy a spot of culture in this astounding world-heritage building. A stunning part of Sydney, you could easily spend an entire day here. Take a cruise on the harbour or investigate the Australian National Maritime Museum. For the kids, there is plenty to do, with the famous carousel, an incredible playground, the aquarium, Madam Tussauds, and a 9D action cinema. Finish the day with a gentle stroll through the peaceful Chinese Garden of Friendship. Then meander along the waterfront, find a nice spot for some seafood and beer, and watch the harbour come alive for the night! This iconic market has been here for 150 years, making it a Sydney institution. It started life opposite a circus ground, and in the 1860’s, attractions included trick riding and other fairground-inspired classics. It’s moved around since then but it found its current home in 1975 and it’s remained there since. You’ll find delicious food, jewellery, clothing, crafts, cosmetics and so much more. There is a free shuttle bus that runs Friday, Saturday and Sunday, or you can catch the train or bus. The busiest days are Saturday and Sunday, so enjoy the hustle and hunt for the perfect ‘something’ to take home with you! A favourite with locals and tourists alike, this golden stretch of beach is a popular place to chill, exercise, or people-watch. Soak up the sun, take a cooling dip or maybe even invest in surfing lessons. Walk along the promenade, watching the human flotsam and jetsam. Bondi also has a great dining scene with loads of hipster cafes and restaurants, or you can simply get some classic fish and chips to eat on the beach (just watch out for persistent seagulls!). Catch the train from Central Station to Bondi Junction, and then take the 380, 381, 382, or 333 bus to the beach. Enjoy your relaxation and keep an eye out for amazing street art. If you like a bit of adrenaline, then climbing up the Sydney Harbour Bridge is a great way to view the iconic structure from another angle, 134m above the water. With incredible views of the city and the Opera House, this is a unique way to see the city and get your days exercise! There are choices of day and night tours, as well as the option of catching a suspended sunrise or sunset too. All tours are conducted by trained professionals, and you will be fully prepared and harnessed with safety equipment. What do you feel like for dinner tonight? Japanese? Vietnamese? Seafood? Spanish? Or maybe a classic Aussie burger and fries? 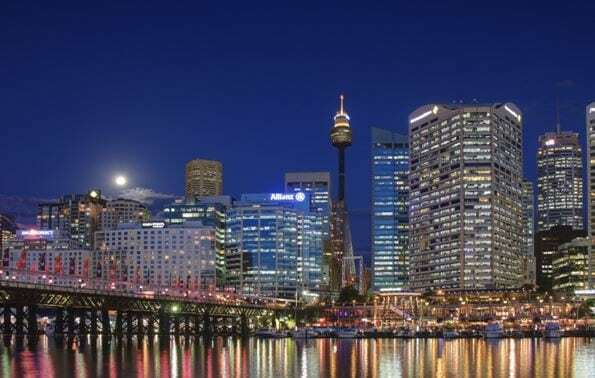 Whatever you want, Circular Quay has a huge range of cuisines and a meal to suit every budget. Whatever you eat, the sparkling views over Sydney Harbour make this experience an unforgettable highlight. Because Circular Quay is in the heart of the city, you might end up eating here more than once…. In fact, it’s advised!